Nowadays, it’s a term that serves as a shorthand for a movie-worthy, special-effects-laden vision of the end of the world as we know it. But apocalypticism is often a much deeper and more existentially fraught topic than it seems upon first glance. I wrote my MA thesis on currents of apocalyptic fervor during the Protestant Reformation. Lately, as I prepare to do some more writing on that subject, I’ve been recalling conversations I had at that time with friends who I think were a bit concerned about my choice of topic. As children of (Post-)Modernity, we like to think we have graduated from swooning over the end of the world. The apocalypse is for the ancient Mayans—or lunatics who hand over their life savings to a cult leader. To me, though, apocalypticism is deeply human. And it is everywhere—even today, which is what I want to talk about in this post. Perhaps another time I will write about Orthodox beliefs concerning the end of the world, but today I want to zoom out. I want to think about what apocalypticism is and why it matters in our wider culture. In the original Greek, an “apocalypse” connotes a revelation or disclosure of knowledge, usually a mystical sort of knowledge relating to historic and future events. 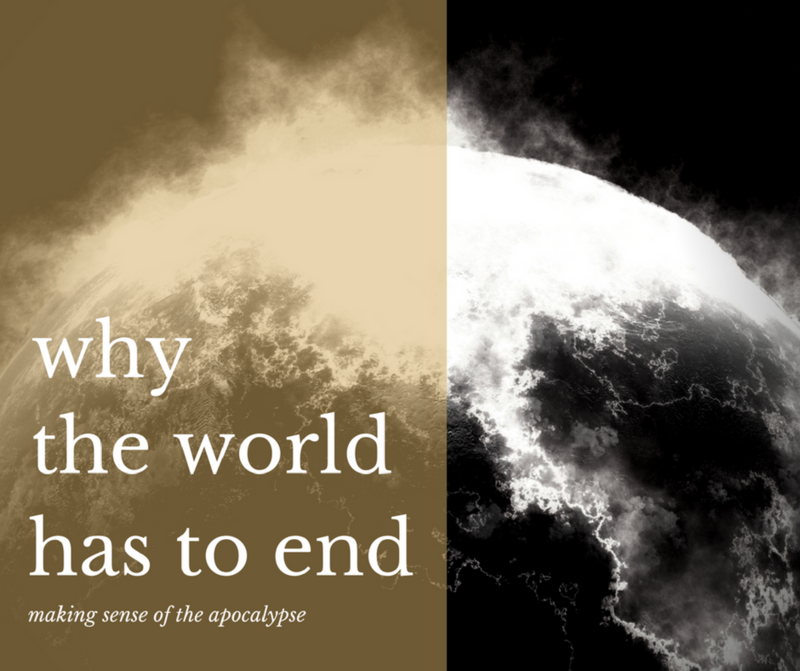 The last book of the New Testament—The Apocalypse (i.e. Revelation) of St. John—is so named not because some see the content as describing the end of the world, but because the entire book is one long, mystical revelation or apokálypsis. It is by far the most apocalyptic book of the Bible, but there are apocalyptic elements in many Old Testament books as well, and Jews at the time of Christ had their own apocalyptic prophecies and accounts. You’ll even find threads of apocalypticism hanging out in Hindu and Muslim writings, Norse mythology, and innumerable other cultural and religious traditions. Suffice it to say, the literary hallmarks of apocalypticism are old—dating back to ancient Mesopotamia—and virtually universal. A unifying goal history is moving toward. The sense that the world, and all of nature, is gearing up for a cataclysmic change or End. That this end will involve a dramatic battle between good and evil. The final outcome of the apocalyptic future is understood as a restoration of original goodness—the ultimate victory over darkness. Pessimism concerning the present age contrasted with optimism concerning the age to come. (Sometimes:) The belief that humans can persuade God to tarry in His wrath by repenting and living more faithfully. 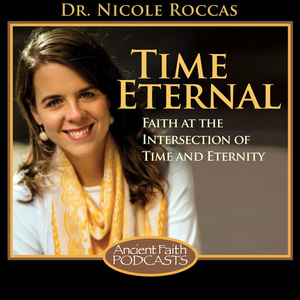 It’s helpful to recognize that apocalypticism—as a way of perceiving the world (and time)—touches on some pretty deep existential longings that extend across cultural and religious barriers. First, it affirms the sense that all of time and history are meaningful, and we are moving toward something important. Apocalypticism acts almost as an organizing framework for all of time and existence. It’s like reading a book after you know how it ends—all the little details in the story suddenly become more important because you know what they signify. Second, apocalypticism highlights our agency and free will as humans. Christian apocalypticism, for example, is sometimes bound up with a call to turn back to God in a more faithful way, perhaps even persuading Christ to tarry in His return. Finally, apocalypticism rests on the belief that good will prevail, no matter how bad or scary things get in the meantime. During my MA, probably because I was so immersed in my subject matter, I began to see the contours of apocalyptic narrative all around me, even in so-called “secular” culture. As an example, the way we talk about global warming is highly apocalyptic. Instead of a call to repentance, though, the global warming narrative beckons adherents to recycle and reduce (our waste, our carbon footprint, etc.). The “prophets” in the age of global warming are environmentalists and scientists who deduce the future from minute signs in nature. As bad as the climatological End is predicted to be, however, there is often the sense that massive climate change will somehow hit the “reset” button on our planet. It will knock humans out of the picture, yes, but nature knows what she’s doing. Obviously, there are some real differences between this picture and classical Judeo-Christian apocalypticism, which rests on a personal God (not just nature as an impersonal force) acting within the matrix of time and history. Still, if you read global warming discourses against the backdrop of apocalyptic literature, you will be struck again and again—as I have been—by the age-old plot structure of apocalypticism. This is not to minimize the reality of climate change, but simply to point out that we are borrowing from very old literary structures to explain it to ourselves. Gradually, I’ve come to see this as evidence that human beings need an apocalyptic story to tell, regardless of how we identify religiously or intellectually. For example, global warming discourses originated at the height of liberalism and secularism in the Western World. We started talking about it in the early ‘90s—just after the end of the Cold War, which put not only communism to rest, but also tabled the threat of nuclear holocaust (Oh, look! Another apocalyptic narrative!) When one secular apocalyptic threat leaves the scene, another shows up to fill the void. As much as we humans need to know and make sense of our origins—whether we came from monkeys or aliens or our Creator—we also seem to need to make sense of our endings. We want to know how the story will end so we can better understand the weight of the present. This is as true of secularists as it is of theists, among them Christians. It has long been my wish and prayer that—in our divided society—we could see and own this about ourselves as human beings. Wherever we stand on larger questions of religion or faith, we share a deep need for an ends-oriented way of life. We may talk about this sense of endings very differently—and these differences are worth honoring—but behind the particularities lie our shared human-ness, our longing to find meaning and significance in the past, present, and (especially) the future. If we can find nothing else to love in our neighbor, let us start with this. Did you enjoy this post? I’m considering whether to make apocalypticism/ eschatology the subject of a future writing/ research project, and your input would really help me out! What have you always wanted to know about regarding the apocalypse, end of time, etc.? What types of themes would you like to read about on this subject? Let me know in the comments below or on Facebook. Thanks! It’s so interesting to learn more about the apocalypse. Who would have thought that humans needed an origin and ending story, and so the apocalypse comes into play? So do you believe that the apocalypse will really happen?